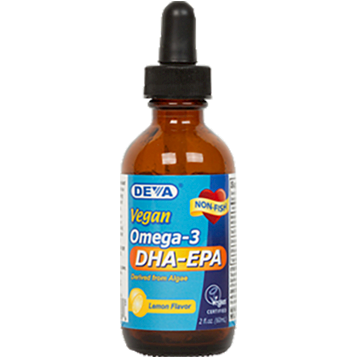 The DHA & EPA oil used in this product is derived from microalgae grown in a closed-culture facility on land, using drinkable water. It is clean, safe and free of ocean-borne contaminants. Directions: Adults 14 drops, children 7 drops daily with food, or as directed by a health care provider. For children younger than 2 years old ask a doctor. Food Sensitivity: Free of fish, yeast, dairy, egg, gluten, hexane, wheat, sugar, salt, artificial color or fragrance. Do not use if safety seal is broken or missing. Stroe in a cool, dry place. Keep out of reach of children. Refrigerate after opening. Shake well before using.